One word, a thousand emotions. Chai. A cup of Chai is perhaps the most indispensable item in the Indian kitchen. It binds together the household like nothing else. It is not uncommon to see a hot brewing cup calm a rather heated conversation or how easily conversations flow over cups of Chai. Perhaps that’s the magic of this drink. Chai or tea leaves are cultivated extensively in our country and every state offers a very unqiue type of chai. Like its sourcing, it also has a variety of preparation styles. An insanely different style is the one I shall elaborate on. It’s the Tandoori chai. 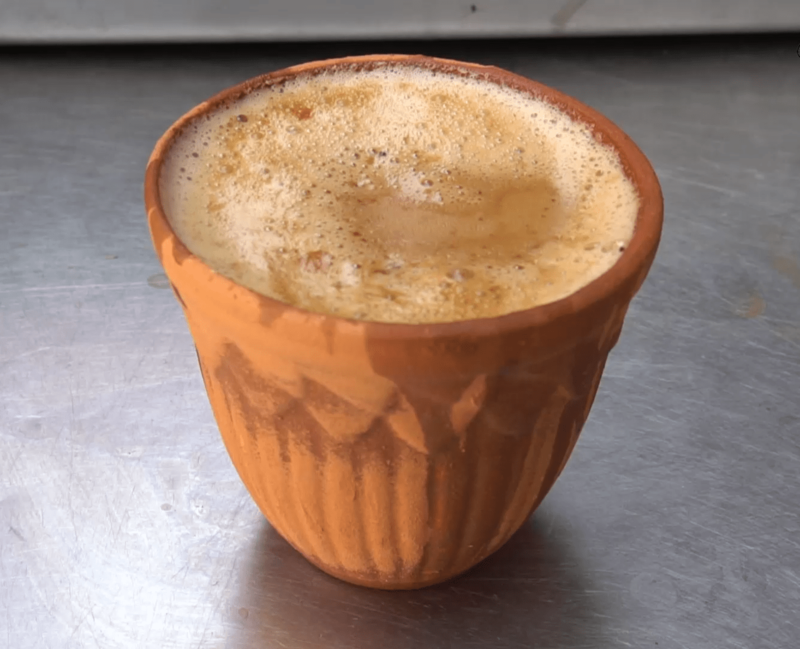 ‘Alpha’ss Tandoori Chai’ in Mukherjee Nagar seems to be the talk around town for introducing an innovative yet extremely tasty version of this staple household favorite. Open from 9 in the morning till late in the evening (11 PM), the shop is happily satisfying the caffeine cravings of its many customers. The roots of this unconventional idea of having chai being made in a tandoor stemmed from a rather everyday conversation between friends. They wondered that if something like the popular street food-momos could be made in a tandoori style,then why not the beloved Chai? The name of the shop is unique as proclaimed by one of the shop owners. It is an acronym for the names of all the people who started the shop. 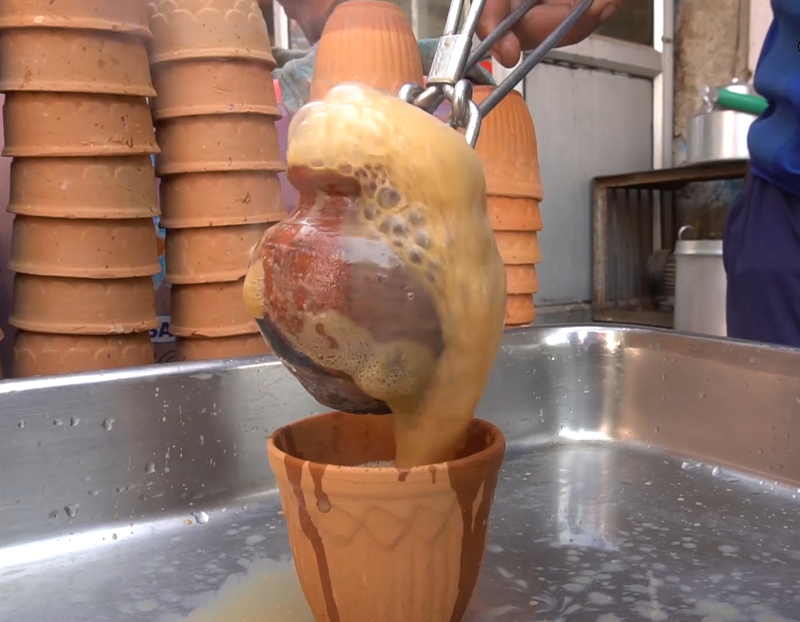 The Kulhad, a traditional earthen pot is a popular dish used to serve Chai. The process involves baking this dish in the Tandoor and pouring half cooked Chai in this. The hot Kulhad then diffuses a rather smokey tinge to the Chai and this is how this beverage gets it’s unique taste. Although the shop is in it’s nascent stages,it has been getting a great amount of recognition and has already established a broad base of loyal customers. What makes this a must visit stall while exploring the food scene in Delhi? A. It is the only place in Delhi that serves this sort of preparation B. the theatrics of making this chai. It’s an experience in itself to witness its creation and lastly, and perhaps the most obvious one,its chai! So come and enjoy this extraordinary Chai at the NBT Flavors Fest on 20th and 21st October’18, at Baba Kharak Singh Marg, Delhi. Be it a rainy day or just a craving for something “good”, aloo samosa with dhaniya and imli chutney is the go-to snack for almost every Indian. Just when you think everything that could have possibly been done to and modified about a samosa, has been done for, you couldn’t be more wrong. Samosa’s Authentic Indian Food, located in the bustling lanes of South Delhi, is here to revolutionise the basic aloo samosa. 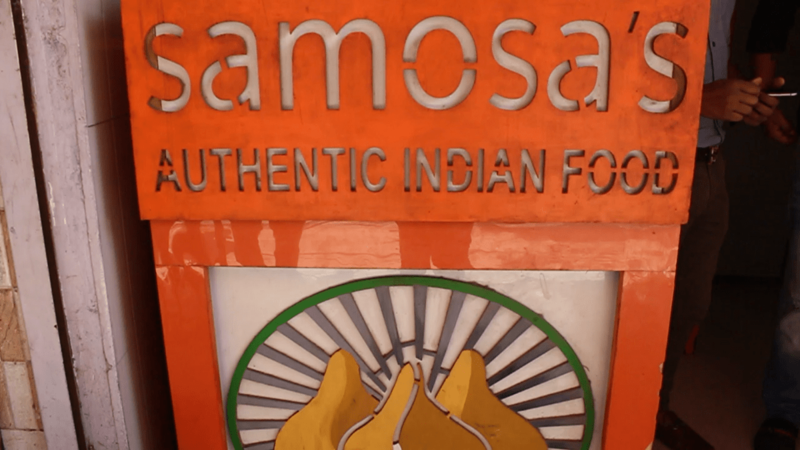 Situated in the J block of the Amar Colony area of Lajpat Nagar 4, amidst the honking cars and the crowded lanes, Samosa’s Authentic Indian Food may seem like a regular shop on the outside, however, you’ll be assured of its uniqueness once you take a look at its menu. This samosa outlet has broken away from convention in just a period of 4-5 months. 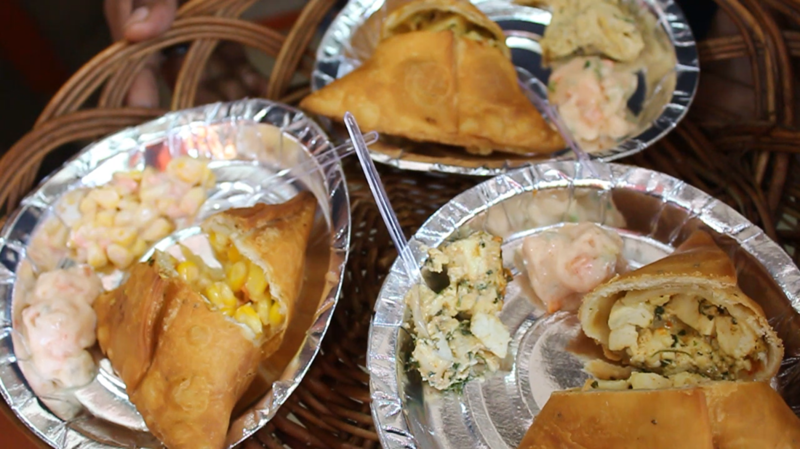 Samosa’s Authentic Indian Food offers upto 38 varieties of vegetarian and non-vegetarian samosas having fillings of paneer tikka, chicken keema, malai mushroom, creamy corn, and even a newly introduced samosa desert or ‘samoert’, stuffed with khoya and Dairy Milk Silk. One also has the option of two different types of samosa base, either aata or maida. Rajiv, the owner of the outlet has collaborated with Swiggy and Ubereats to provide a swift and efficient home delivery experience to his customers and even has a website dedicated to the same. The different samosa stuffings are prepared every morning but no samosa is cooked beforehand. They are freshly prepared, using little marking of food colouring for differentiation, as per the orders received, in a small kitchen at the back of the shop. The samosas are served with the staple dhaniya and imli chutney. These golden brown crispy samosas start at rupees 10, going high up only till rupees 60. The outlet opens up at 11 in the morning but receives huge crowds only in the evening around 4-4:30. This year, Samosa’s Authentic Indian Food is trying to expand its reach and “make samosa’s great again” by being a part of the NBT Flavour Fest- Street Fusion Food Court taking place at Baba Kharak Singh Marg on the 14th and 15th of October. The festival is curated by Delhi Food Walks and aims to bring to the forefront the talented minds behind the various fusion food items.